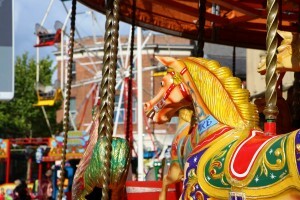 Home Town Centre Businesses add some Vintage Weekend Fun! 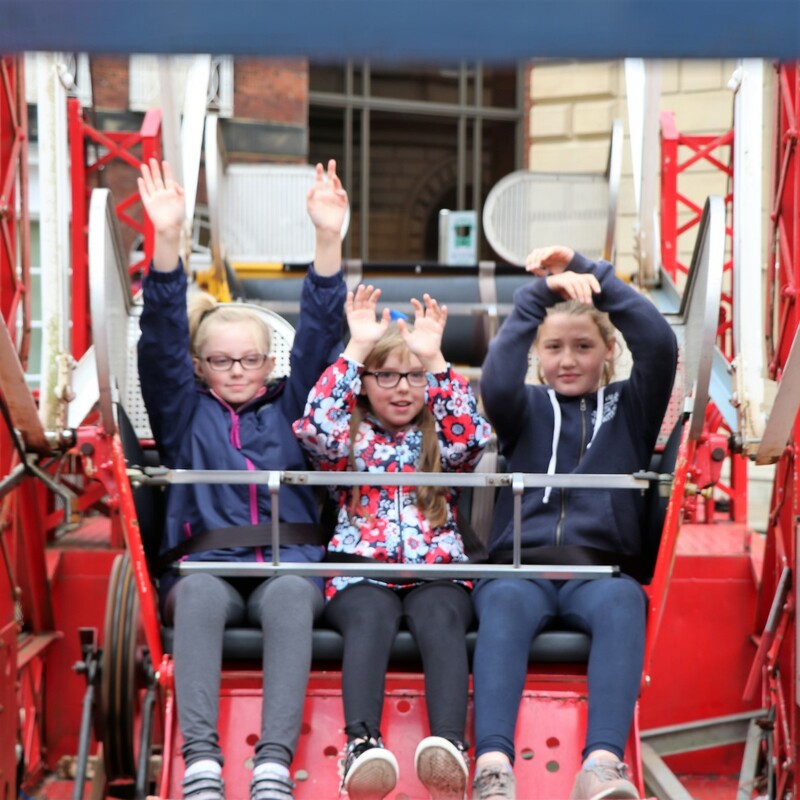 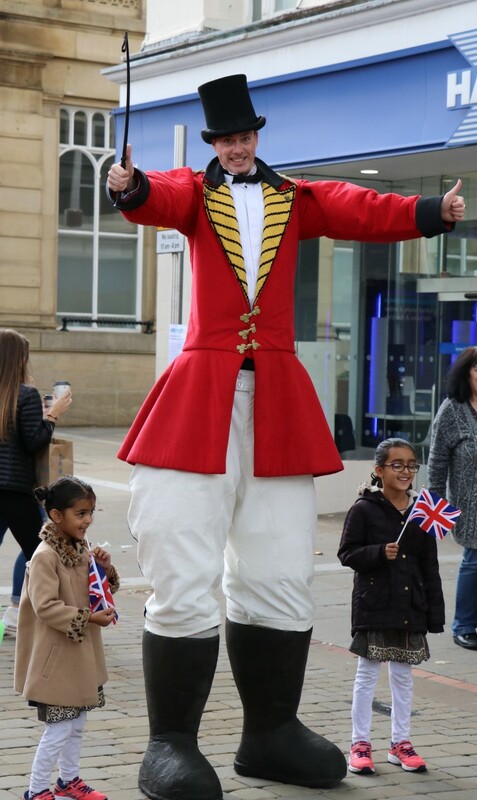 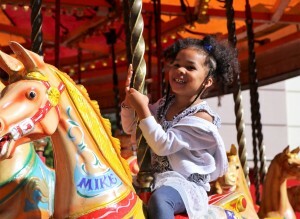 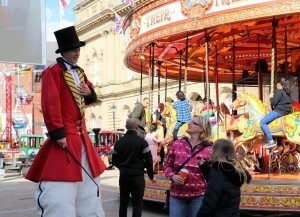 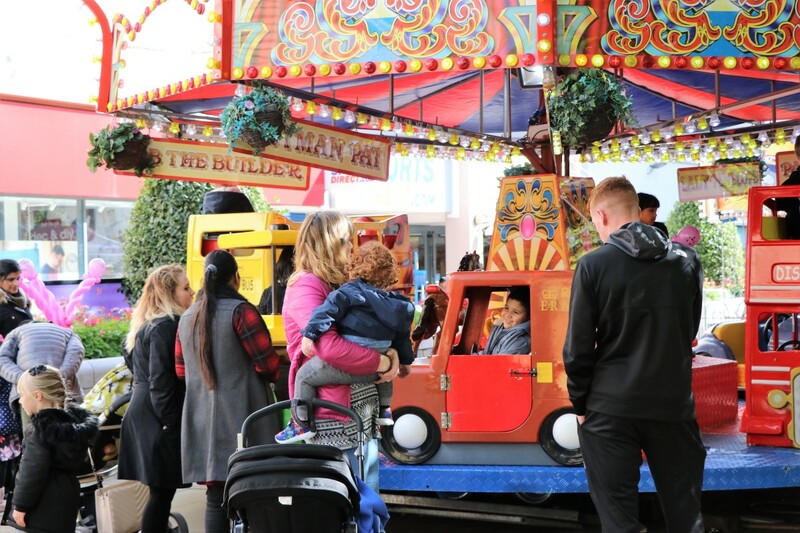 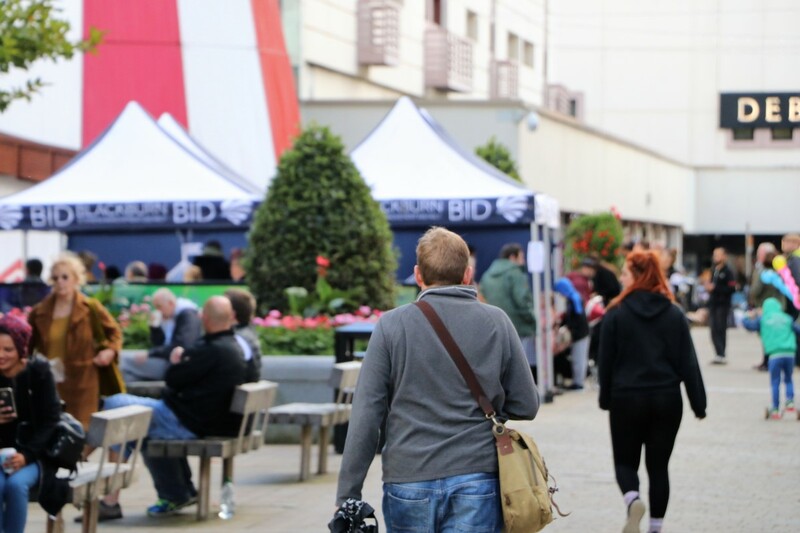 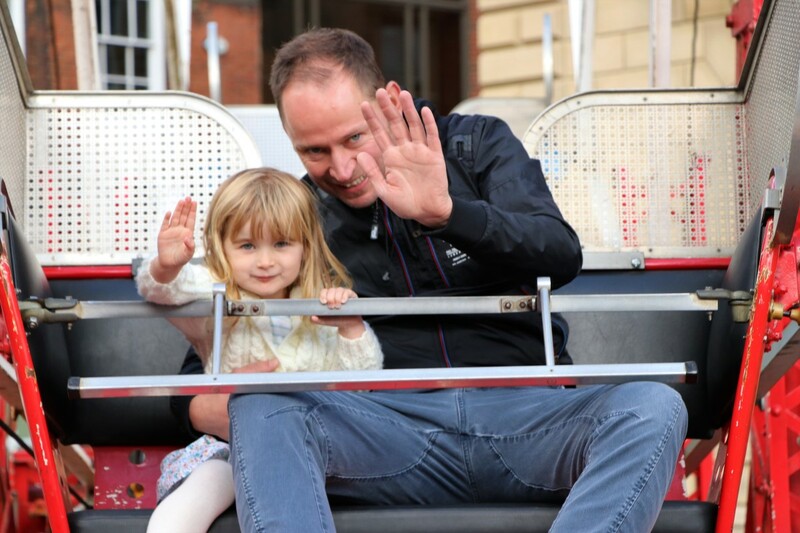 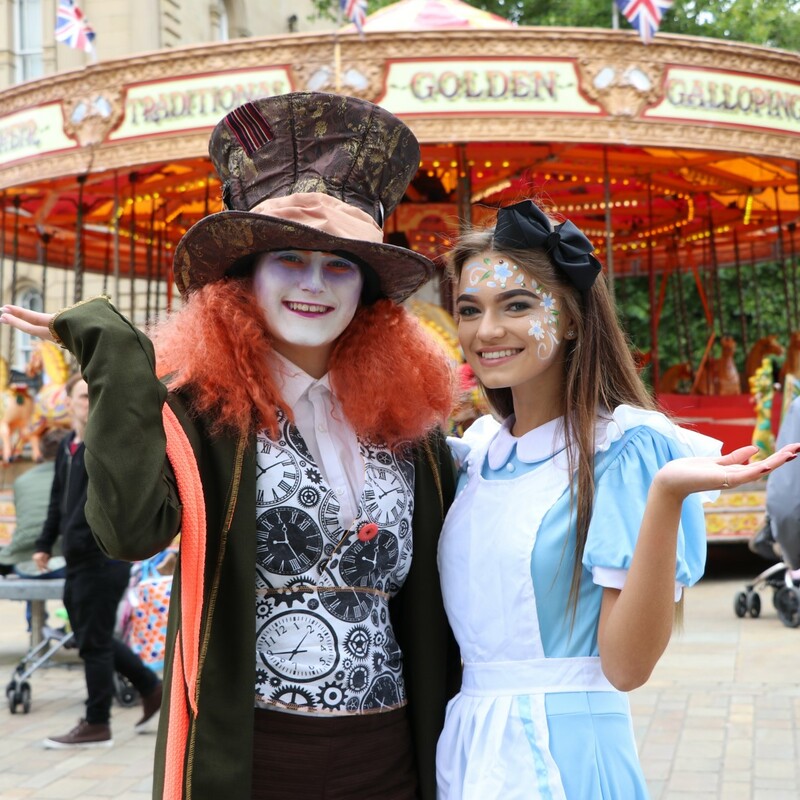 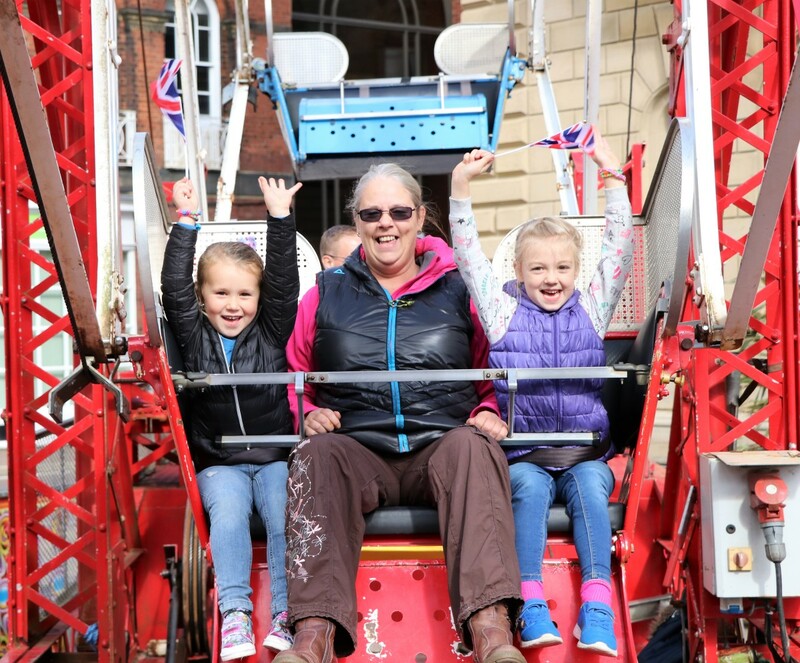 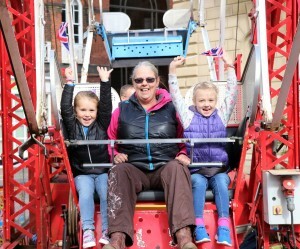 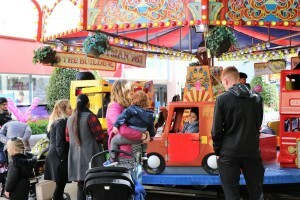 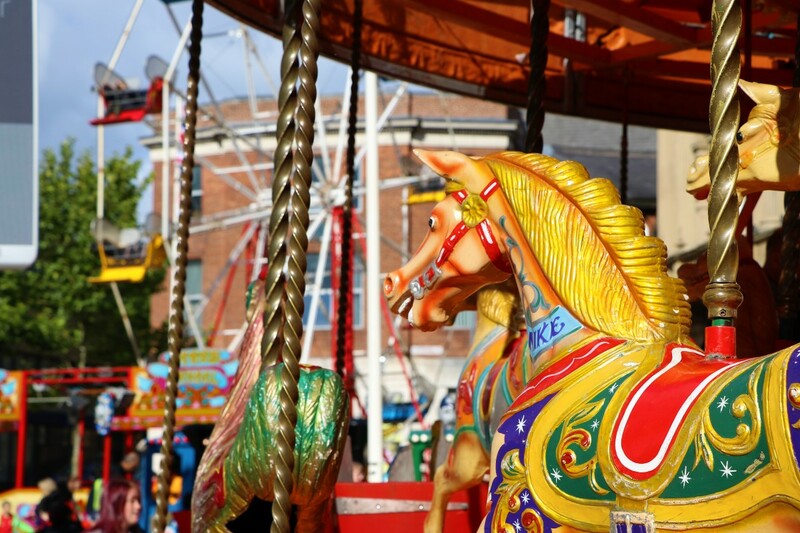 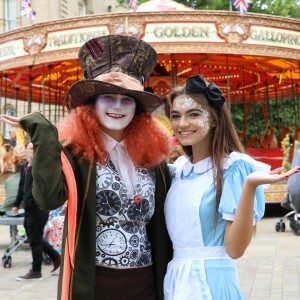 Over ten thousand people enjoyed a Blackburn Business Improvement District (BID) event this weekend with some iconic classic fairground rides and free entertainment. 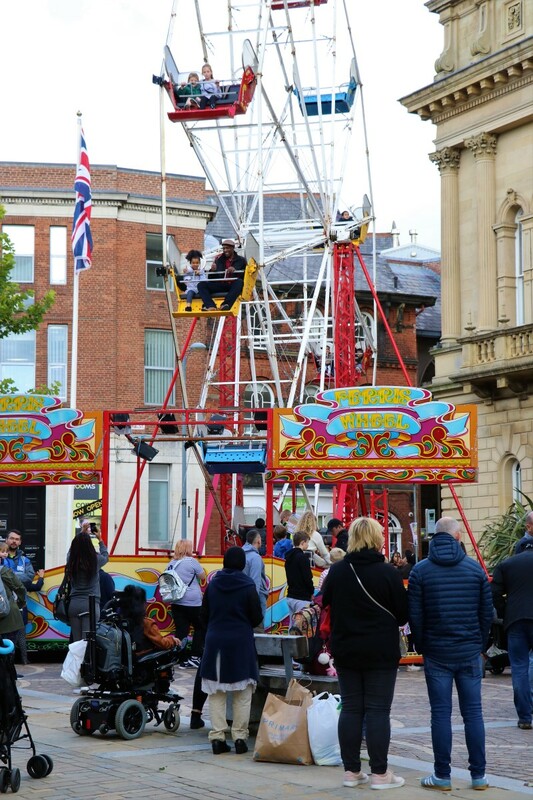 The BID, which is funded by town centre businesses, organised the event to add some extra sparkle to people’s trips into the town. 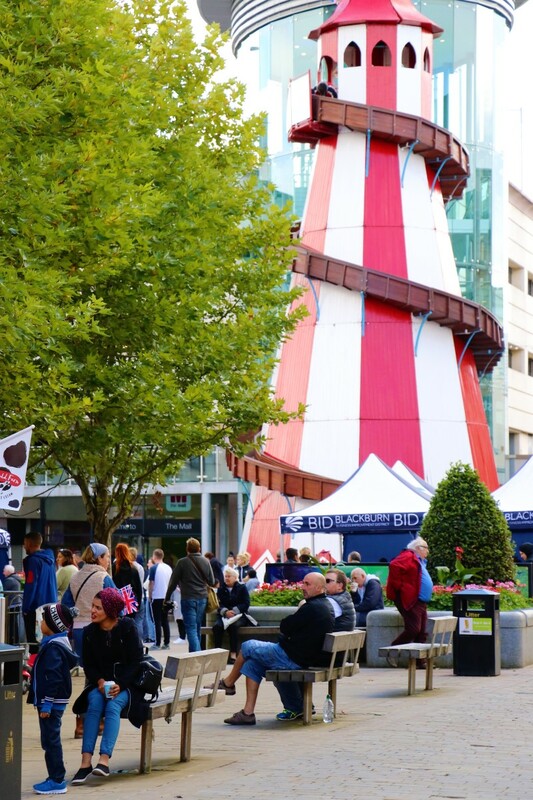 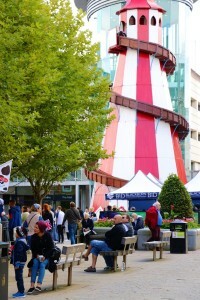 The giant red and white helter skelter returned to the town for the first time in 3 years. 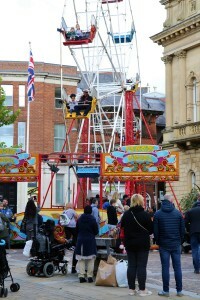 The wooden classic, which is one of only two left in the country, took a team 7 hours to build and almost topped the height of Blackburn’s clock tower. 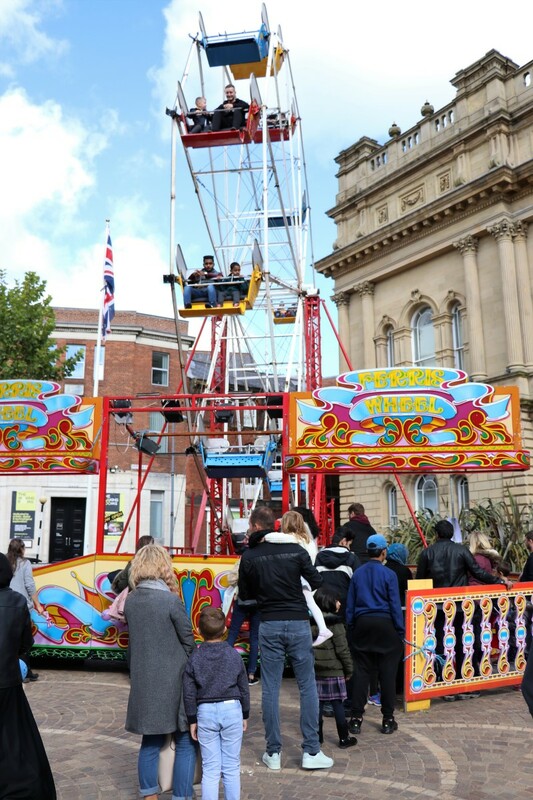 It was joined by a golden carousel, traditional Ferris wheel and a range of children’s rides all priced at a family friendly price of just 50p a ride. 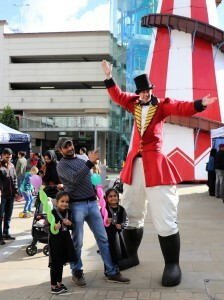 Some lucky visitors to Blackburn town centre businesses were also treated to free vouchers. 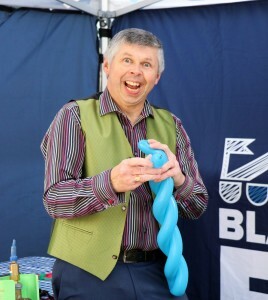 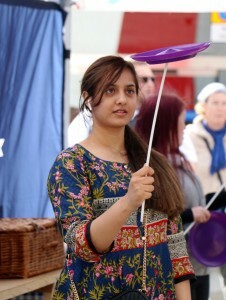 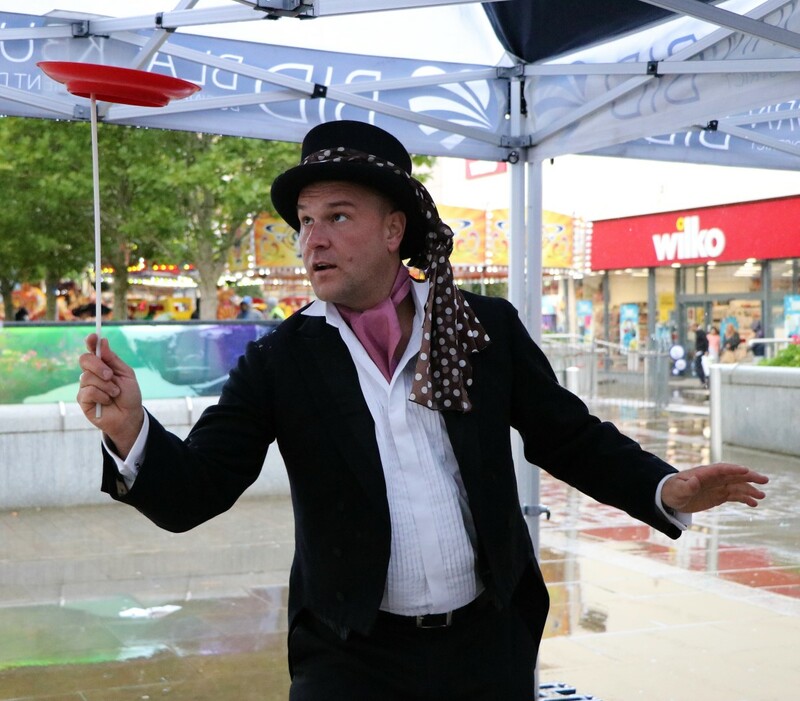 A hands-on Victorian circus workshop drew crowds of people looking to try their hand at plate spinning, diablo, juggling and stilt walking and there were queues all day for award winning balloon modeller Bob Wooding’s free creations. 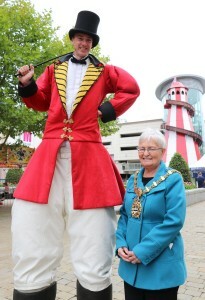 Even the stern giant ringmaster broke into a smile as he entertained visitors. 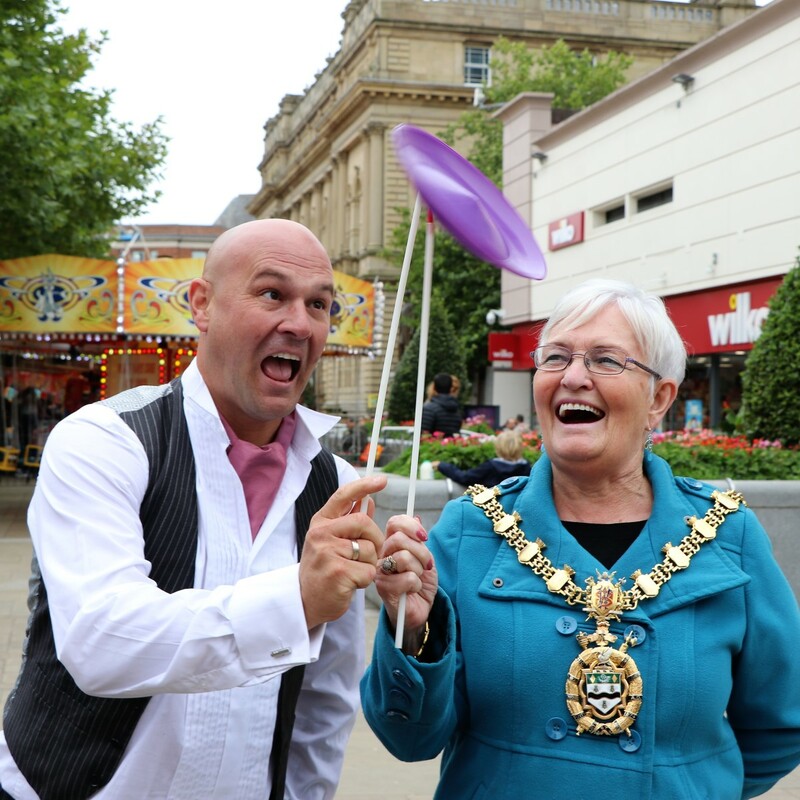 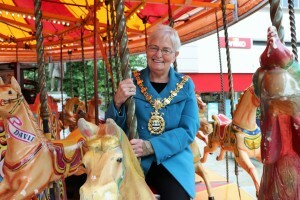 Blackburn with Darwen Mayor, Councillor Pat McFall joined in the fun with a go at plate spinning and a run ride on the carousel! 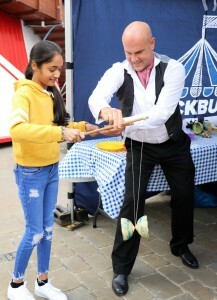 Looking to the Future - Blackburn BID planning for Five More YearsTutu much of a good thing? 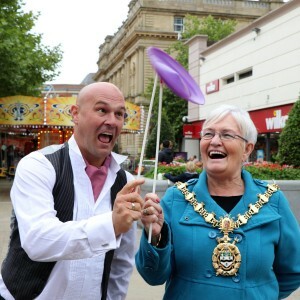 Not for Blackburn Market’s Mandy!